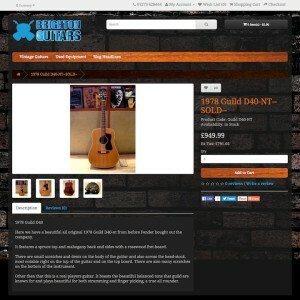 Stocking a wide range of acoustic guitars, folk instruments, and vintage guitar imports, Brighton Guitars prides itself on its friendly service and helpful advice. 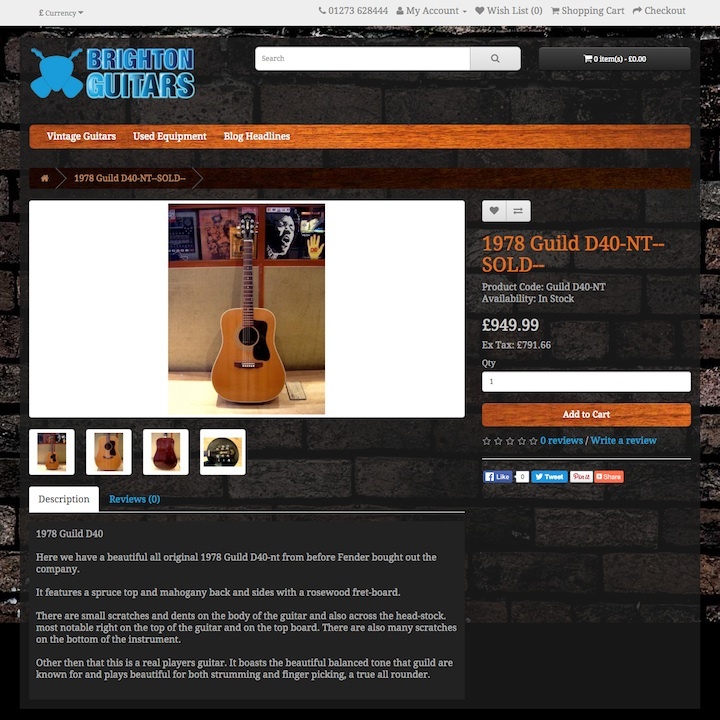 Moot Point rebuilt the Brighton Guitars website with full ecommerce functionality and a custom-built theme using OpenCart 1.5 in 2011. The store point of sale system was integrated with the online database, allowing centralised management and reporting of all orders and stock. In 2016 the site was upgraded to OpenCart version 2.0, with a new custom-built responsive theme.